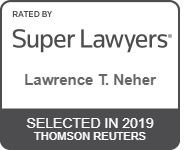 Lawrence Neher began his legal career at Hannoch Weisman, P.C. and served as Chairman of that firm’s 45-person Litigation Department for five years. 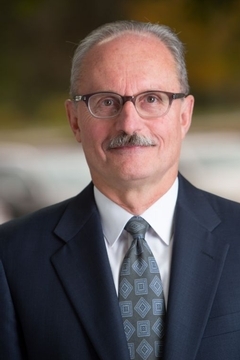 Throughout his legal career and since the inception of Berkowitz Lichtstein, Lawrence has focused his practice on litigation concerning the conduct of fiduciaries, and today he is widely recognized as among the top trusts & estates litigators in New Jersey. In addition to the litigation he and his colleagues have undertaken, Lawrence has counseled executors, trustees, accountants, corporate officers and directors, attorneys, beneficiaries and other interested parties on how such litigation can be avoided or minimized. Several of the matters Lawrence has handled have resulted in significant judicial decisions, including cases of first impression in New Jersey concerning the extent to which a fiduciary may assert the attorney/client privilege and the work product doctrine, and the status of a charitable lead trust for purposes of New Jersey’s Gross Income Tax Act. Many of the matters he handles have been referred to him by trusts and estates attorneys at other firms who do not have the same depth of estate litigation experience as Berkowitz Lichtstein. Lawrence has appeared in both state and federal courts, as well as the New Jersey Tax Court. Lawrence frequently lectures to industry and professional groups with an interest in fiduciary and estate administration, investment issues and the rights of beneficiaries of private and statutorily created trusts. His scholarly work has been published in the New Jersey Law Journal.